Synopsis Learn to be a Machine | DistantObject #1 is an abstract system of obedience and manipulation. The video installation features a representation of the artist himself, who has provided a means for the audience to interact with the system. By scrolling a trackball, the audience can manipulate the direction of the artist’s eyes. Blinking and facial expressions are generated randomly. The work explores the power relation between humans and machines. Lau Ho-chi is an artist based in Hong Kong. He is interest in machinery and human perception. 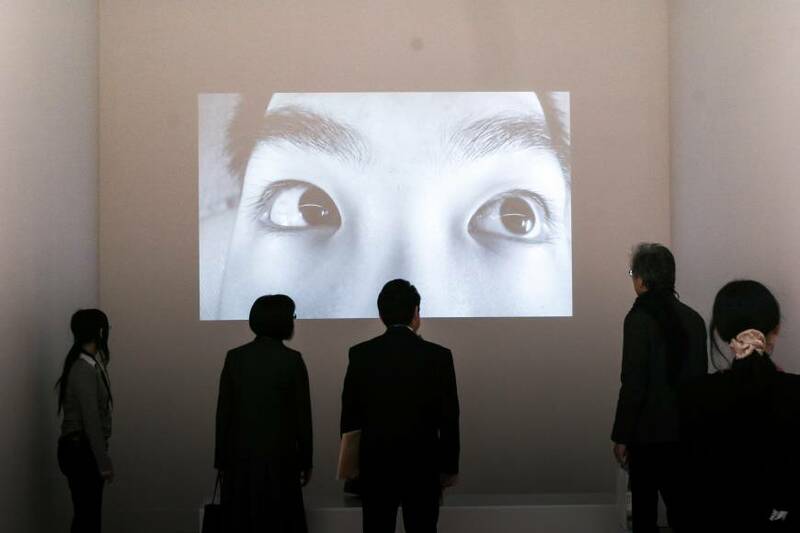 His installation workreceived the New Face Award for art category in 17th Japan Media Art Festival. Learn to be a Machine | DistantObject #1 is an abstract system of obedience and manipulation. 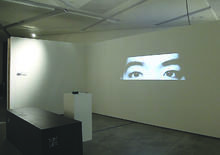 The video installation features a representation of the artist himself, who has provided a means for the audience to interact with the system. By scrolling a trackball, the audience can manipulate the direction of the artist’s eyes. Blinking and facial expressions are generated randomly. The work explores the power relation between humans and machines.